Looking for performance on and off the trail? ACE Engineering has you covered. 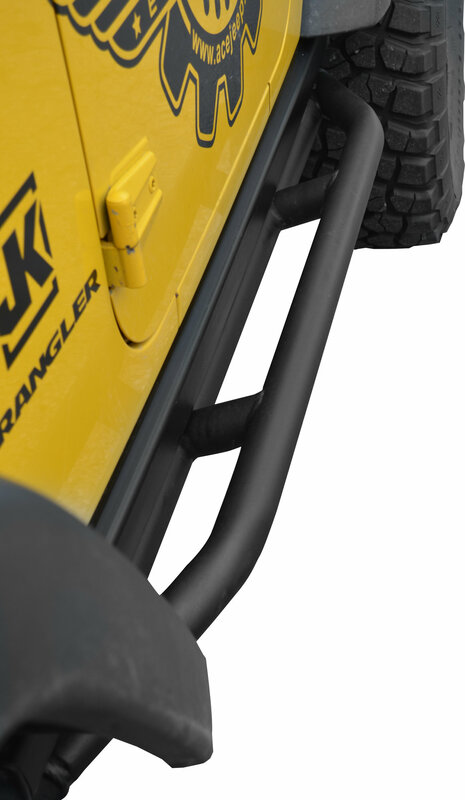 Whether you call them rock sliders, rock rails, nerf bars or rocker protectors, there are a few features you need to have. The first is obviously protection. ACE Rock Sliders are made with beefy 2 mild steel tubing, with a super-strong 0.134 thickness. That's some serious protection for your rocker panels. Plus they work with or without factory Rubicon Rails! The next big thing is function. ACE Rock Sliders shine here as well. 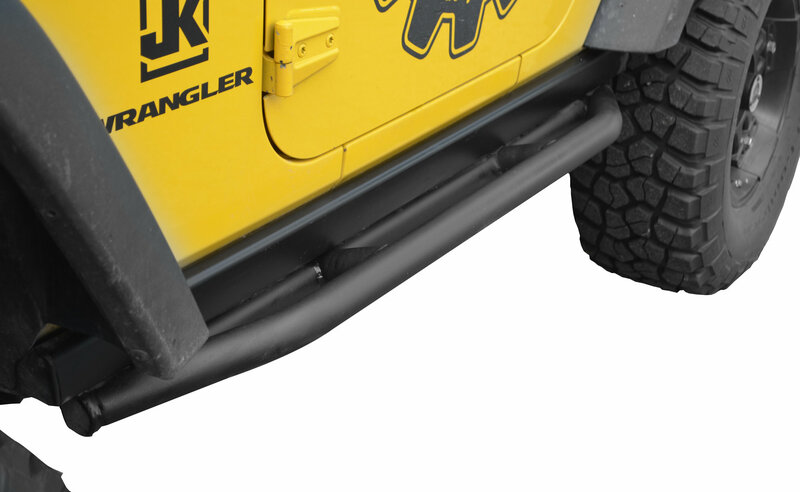 Designed with just the right angle to protect up into the side of the rocker panel, ACE Sliders wont get you hung-up when the trail gets dicey. Plus they work great as a step into your Jeep, hanging off the body just enough to get a good foothold. Easy installation? Check. Their rock rails are designed to attach to your existing mounting bracket, and no longer require you to grind the factory washer. Finally, we have to talk finish. 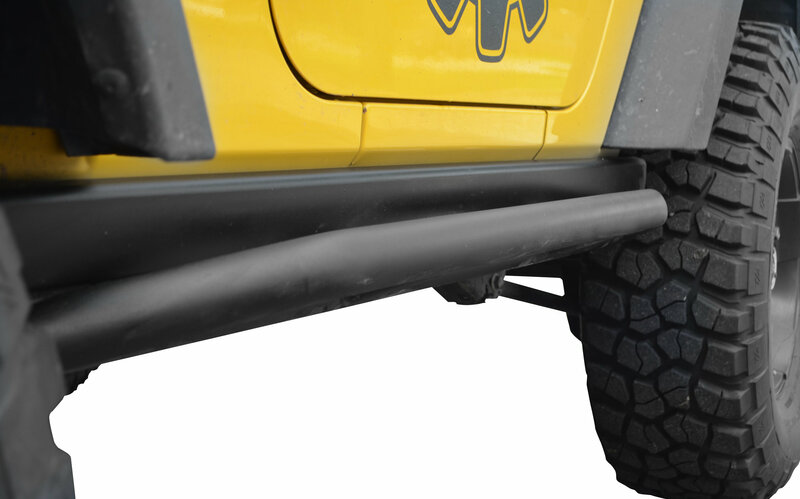 With an unobtrusive matte black texture powder-coat, ACE Rock Sliders compliment the looks of any Jeep, and the slight-grit in the powder-coat helps prevents slipping. All of this, and guaranteed for life? That's how ACE does it.